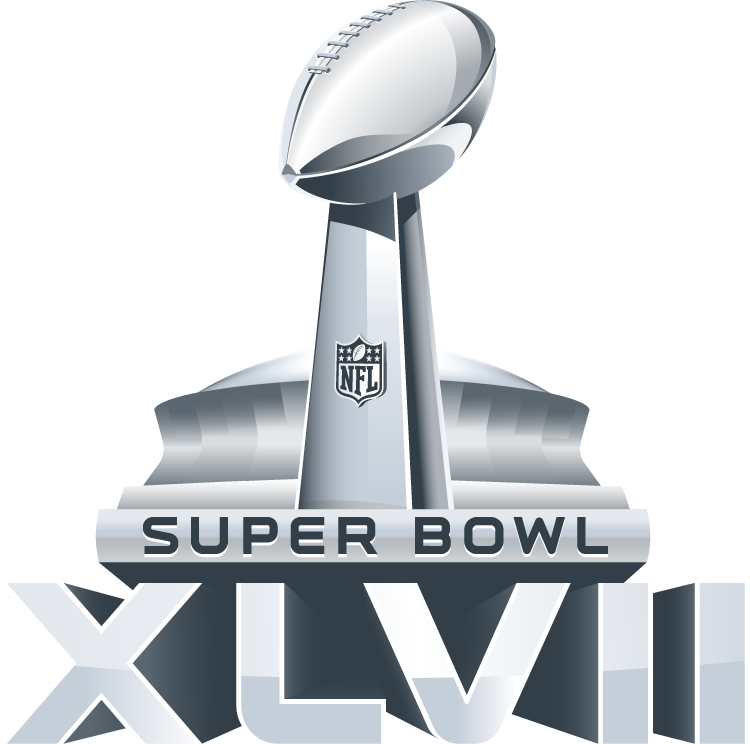 Super Bowl XLVII Preview:….And The Winner Is?? Three nights from now, the San Francisco 49ers and Baltimore Ravens will try to get some sleep knowing their lives will be different by the end of Sunday night. The boy-hood dream of becoming a Super Bowl champion will be realized by one group where the other will be roped off as the trophy presentation begins. What color will the confetti be as the league assembles the champion’s podium?? For the most part the sporting world wants to know why Colin Kaepernick of the 49ers is not nervous. Its relatively easy, he’s playing the same offense he did in college. Under normal circumstances a young quarterback is spending his time learning a new offense along with learning the pro game. This game will be decided by the read option and the execution of it. Can the Baltimore defense squeeze this play down and minimize it’s effectiveness?? 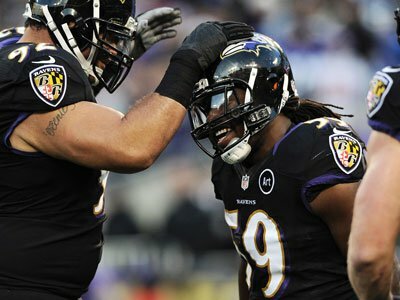 As we told you in the Ray Lewis Super Bowl preview article….this is the key to this game: In the Ravens defense, when they see this play, Lewis needs to stay on Frank Gore and the outside guys in Dannell Ellerbe, Paul Kruger, and Bernard Pollard have to be there to hit Kaepernick early to get his attention. Lewis out in space would definitely be a liability at this time. He, Haloti Ngata, and Terrence Cody have to take care of Frank Gore at the point of this play. If the Ravens can prove to use the front 3 to eat up the blockers and limit Gore’s effectiveness on the read option, Lewis will be able to scrape from inside out if Ellerbe and Kruger can keep containment. This will have to be later in the game once the read option has been neutralized up front. This game may be won or lost on this premise. Lewis needs to flow from his Inside Linebacker position to the cut back point of this play with containment. If the 49ers can stretch the outside, Lewis will not be able to make it to that point to stop Kaepernick. One wild card the 49er offense can play is RB LeMichael James, he lends a cutback ability and a bounce in or out of a running play that might be harder for Lewis to track. However will he be in enough plays to be that effective a decoy and make that much of an impact on this game. One of the 49er’s strengths is their offensive line. The movement they got on BJ Raji of the Packers in the divisional round was embarrassing. They moved him from left to right where RT Anthony Davis, and Guards Mike Iupati, and Alex Boone rooted him out of there playing too high. This group can move and they can block. If ever there was a game where Terrence “Mount” Cody needs to hold ground next to Haloti Ngata, this is it. Our CEO has often said Ngata is the best defensive lineman in the NFL for his ability to take on double team blocks low, defeat them and make the tackle in the backfield, while keeping blockers off Ray Lewis. Even if he doesn’t make the tackle, occupies the double team allowing Lewis to make the tackle, he’s done his job. Anything more is extra. Understand that Ngata had 50 tackles and 5 sacks from the interior. That is down from 2011’s 64 tackle performance but still enough to make his presence felt this Sunday. The best linebacker on the field for Super Bowl XLVII won’t be Patrick Willis or Ray Lewis. It’s Navorro Bowman. The San Francisco 49ers front seven is as good as the Super Bowl has seen in the last ten years. Their linebackers are better than that Tampa unit that won Super Bowl XXXVII. 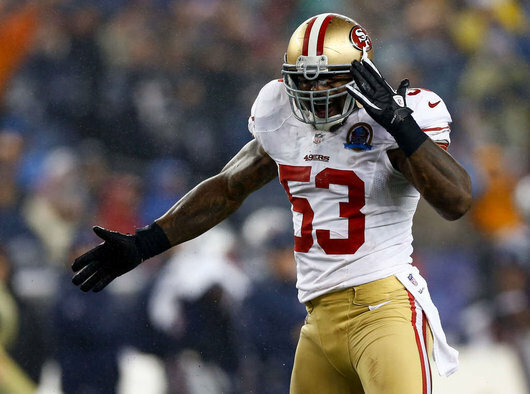 Navorro Bowman just may be the best linebacker in the NFL although Patrick Willis gets most of the ink. If you’re not a Taylor Blitz Times regular it may come as a shock to you that Bowman has been an All Pro now for back to back seasons even though he just made the Pro Bowl for the first time. Coaches and those that know like The Chancellor of football know this tackling machine can play the run (144 tackles) or the pass. It was Bowman that knocked down the 4th and 4 attempted pass to Roddy White at the end of the NFC Championship Game. He is going to be all over Ray Rice in this football game, whether its a flare pass or run. Willis will be there along with DT Justin Smith (64 tackles) to keep Raven rushing attempts to minimal gains. Watch for RB Bernard Pierce #30 to get a series or two as the lead back if Rice is ineffective early. The 49ers front seven is hard to crack. Which brings us to the passing attack and the way that Super Bowl XLVII will be won. Coming into this game we have two front sevens playing heads up football but what about the back seven?? The 49ers passing game saved the day with the re-emergence of TE Vernon Davis in the NFC Championship Game. The question was was it a new wrinkle in the offense or an aberration. On a whole is the passing game enough to carry the 49ers to victory on a team that just made Peyton Manning and Tom Brady look pedestrian in back to back playoff games on the road?? The Ravens picked off those two Hall of Famers 5 times combined while on the road. Now they face a quarterback in his 10th start with Hall of Fame S Ed Reed lurking back there disguising his coverages. We don’t see it. Ed Reed’s crafty play at safety is a wildcard in Super Bowl XLVII. He will force Kaepernick into one mis-read interception in this game. The other hot hand in these playoffs is Joe Flacco. He’s passed for over 800 yards and 8 touchdowns in the three playoff games leading to this one. He has found the most success in the three receiver sets which have simplified his reads. One of the changes to the Ravens offense that no one is talking about is the firing of Cam Cameron and the play calling of former Indianapolis Colts coach Jim Caldwell. He used to shape the game plan for the Colts also so he knows what to call having participated in Super Bowl XLI & XLIV. Through this play selection, Flacco has been confident and delivered the football to TE Denni Pitta, WR Anquan Boldin, and WR Torrey Smith. Boldin provides a power mismatch on the outside with his experience but it’s his muscle in the slot that showed in the playoffs. He just bullied Patriot DBs when the ball was in the air. Look for the Taylor Blitz Times new website in the near future and this logo. This entry was posted in 2012 Post Season and tagged Baltimore Ravens, Dannell Ellerbe, Ed Reed, football, Jim Harbaugh, John Harbaugh, Navorro Bowman, NFL, nfl playoffs, Patrick Willis, Ray Lewis, San Francisco 49ers, sports, Super Bowl 2013, Super Bowl history, Super Bowl XLVII. Bookmark the permalink.